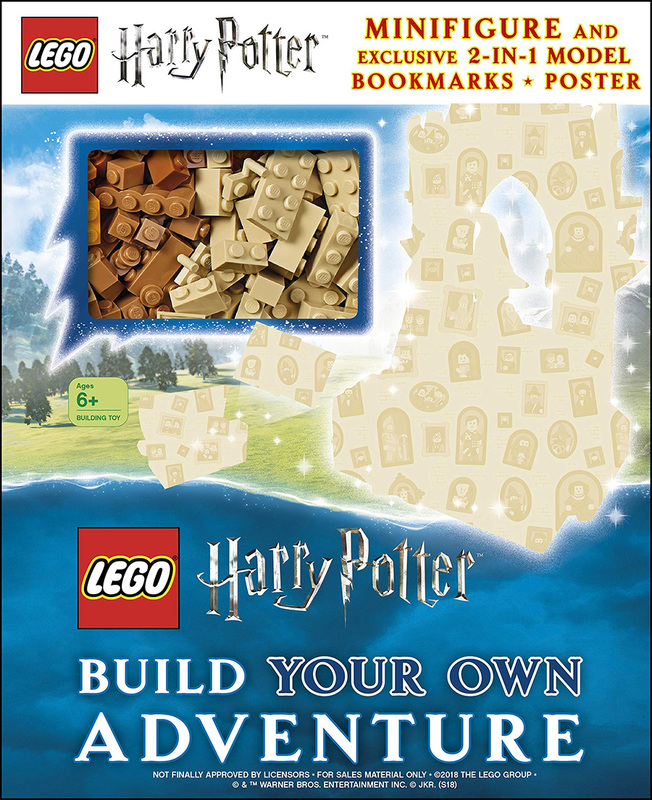 DK Books impressive range of LEGO® Build Your Own Adventure books are set to continue into 2019 and one of the new versions will be themed around the LEGO Harry Potter play theme. The book will be filled with Wizarding World themed inspirational builds and will also include a minifigure and an exclusive 2-in-1 LEGO minibuild. Although this isn’t shown on the cover, it could feature the Sorting Hat. LEGO Harry Potter: Build Your Own Adventure will arrive in early July 2019 and you can pre-order it now from Amazon. Please note the cover is subject to change. A book with bricks that inspires children to build, play, and learn all about the magical world of LEGO® Harry Potter™. Recreate favourite movie moments with Harry, Hermione, Ron, Professor Dumbledore and all your favourite LEGO Harry Potter characters. LEGO Harry Potter: Build Your Own Adventure combines the retelling of memorable scenes from the Harry Potter movies with inspirational build ideas. The book comes with the bricks to build an exclusive model not available in toy sets.